VIP-hotel Villa ADRIANO **** was opened in December 2013, just before the Winter Olympics 2014. Our hotel is a unique architecture project set naturally among the severe Caucasus peaks. Its interior items, textile, equipment, furniture, every trifle literally was brought from Italy to support Italian spirit and European quality. 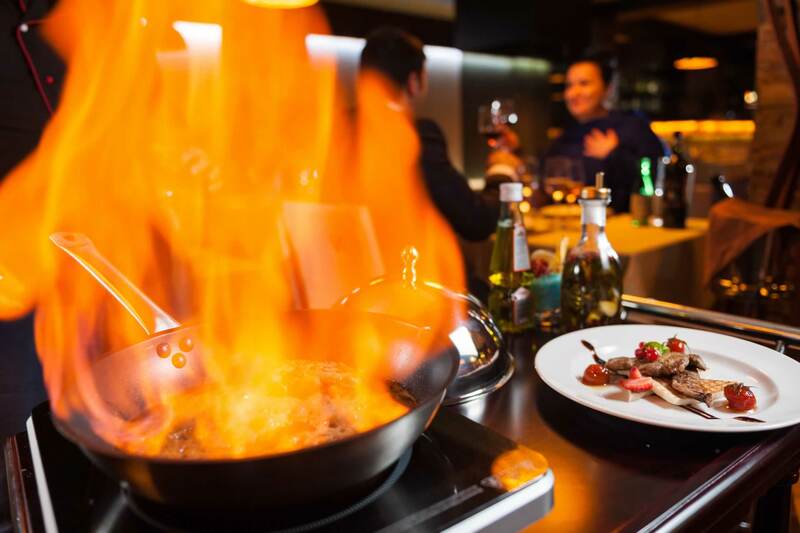 Our restaurant is a part of Adriano restaurant chain, famous in Sochi for its delicious Italian cuisine. The ideas of Quality and Hospitality are linked for us, and our hotel is meant to make your stay one of the best memories in your life. 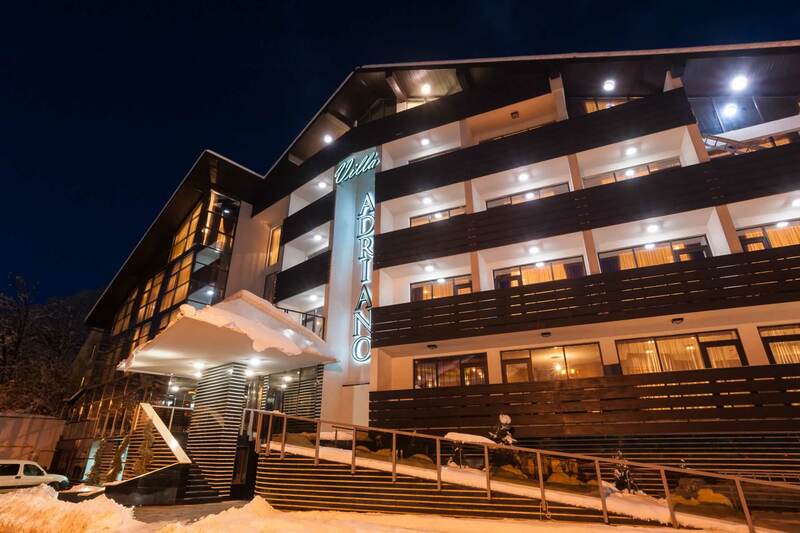 Villa ADRIANO **** is located in Esto Sadok, near the ski lifts and Gorky Gorod, within walking distance from skiing tracks, trendy resorts, boutiques and night clubs, in the heart of Skiing and Entertainment. On the other hand, it's surrounded by virgin nature, thick woods and steep slopes. We offer at your service: 35 comfortable rooms, Italian restaurant, many bars, huge SPA center, open pool, Russian banya, bike rental and other premium-class services. Vacations at our hotel are impressive all year round. While skiing and snowboarding fans enjoy steep tracks, quiet leisure connoisseurs help themselves with hot punch, sauna and icy pool. In summertime we do our best to satisfy rock climbers, host barbecue and cocktail poolside parties. Nature element at Villa ADRIANO **** is also supported by a big round fireplace in the lobby center: you can dine beside and enjoy sunsets. And a real waterfall makes the hotel air fresh and humid, turning it into a special atmosphere. 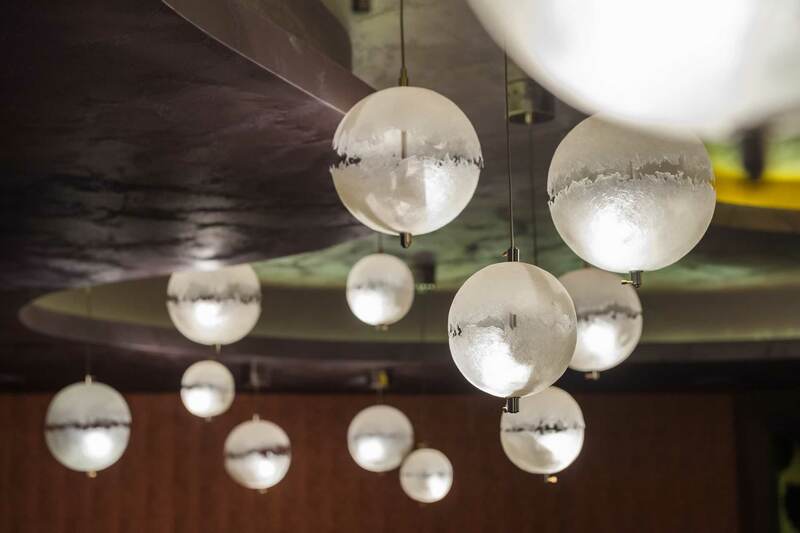 Let it snow outside, let the peaks look tough - our cozy hotel is always warm, our lights are always welcoming. Villa ADRIANO **** is a spot of hospitable Italy in the heart of the Caucasus!